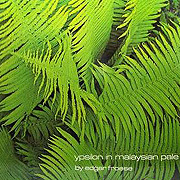 For Edgar Froese his 1975 LP Epsilon in Malaysian Pale (33'25") was a sensory record of world travels. For us this album initiated the awakening of a multitude of sensibilities that would have lain dormant without it - a reminder that aesthetic virtues live, often hidden, inside each one of us. Frose's music can be soft and assuring, and is often suffused with a stark comforting tenderness. His geometry is free of conventional angles, proving that the shortest path between two points is a spiraling curve. His darker passages are deep yet gentle. Using controlled dissonance to open up negative space, Froese taught us that it is the calm after the storm that chokes one with emotion. The album titled first piece has been referred to as "the Mellotron track", probably for its opening statements in which this instrument's flute and violins abide in a languid duet. The middle section is augmented by the emergence of a static midrange sequencer pattern, over which flights of string sections rush, hover and fade. Resolution comes in the way of the opening section. As strings and flute return the piece gradually fades into primeval silence. "Maroubra Bay" introduces a few more electronic elements amidst the profound Mellotron string opening. Solo synthesizer notes rise and fall in warm lines of slow melody against the mechanistic intrigue of pulsing and echoing electronic tone patterns. Here the sequencer output is the center of attention as string melodies lightly interact with the ruminating motor of sound. The minimalist cycling moves at the speed of thought, which draws us ever inward. The profundity of this piece comes from its innocence. While current trends embrace the music and atmosphere of the 1970s, we have yet to recapture the spare soundfield and elemental simplicity of this era. Advances in music technology have re-established the sound palette of this decade, but will never be able to replicate the magic of Froese's live-to-tape recording sessions. Analysis is optional, but the thrill is not. The sessions may have been Froese's, but the exhilaration is ours. Surely meaning lurks behind. The spiritual aspirations of Epsilon in Malaysian Pale call for the deepest seriousness. It has excited the imagination of listeners, as well as the music of later generations, for 40 years - yet this music still seems to be emanating from the remote future. 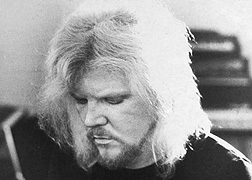 Gone from this plane, Edgar Froese now inhabits the hereafter. If our lives are something lent to us, which must eventually be repaid, he has now done so - at an ample profit to The Universe.